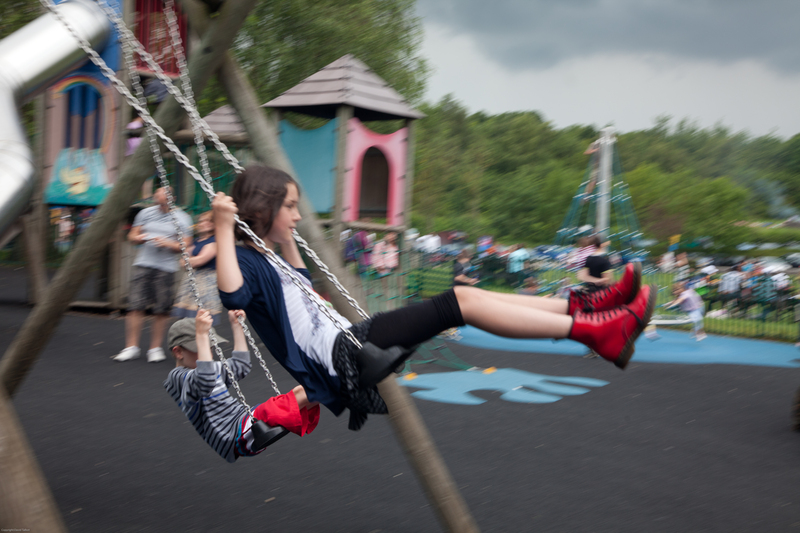 Possibly a slightly more complicated use of panning than the exercise called for in that my moving target (my daughter Emily) was moving in an arc while rocking in the swing seat and swinging her legs in another arc but I think the resulting shots show quite nicely the effect of shutter speed and panning the camera in a rather interesting way. Passing cars, bikes, trains etc. would have been easy! 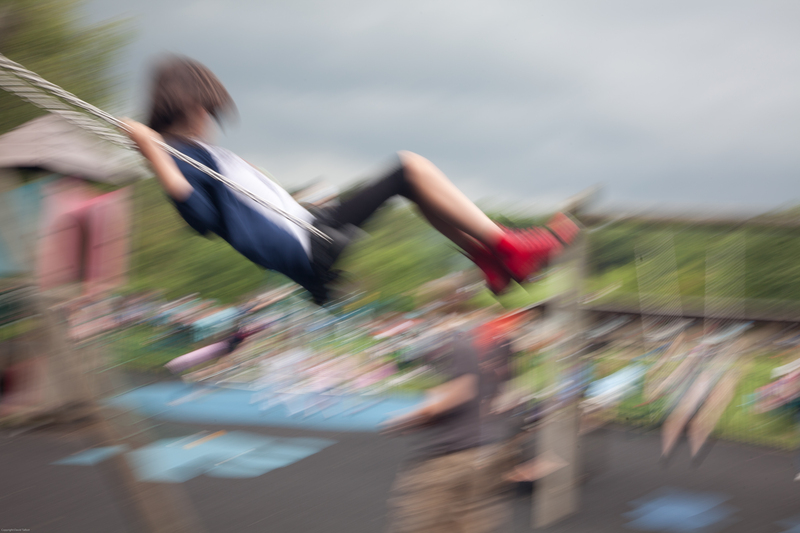 Lots of blur in the background and in the subject, the movement of the swing chain is clearly visible and the image has an almost abstract quality, with the top half of her legs having pretty much vanished into the background. 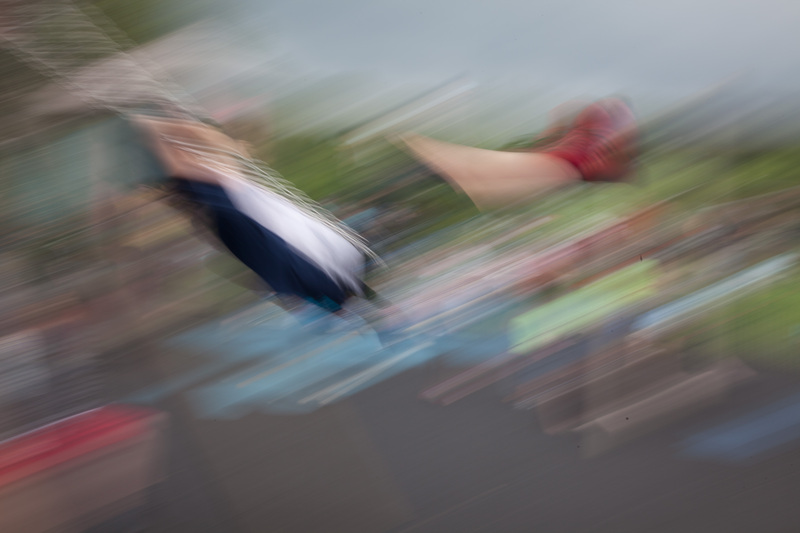 I guess if the lens had gone smaller for a slower shutter speed a very abstract picture would have resulted. 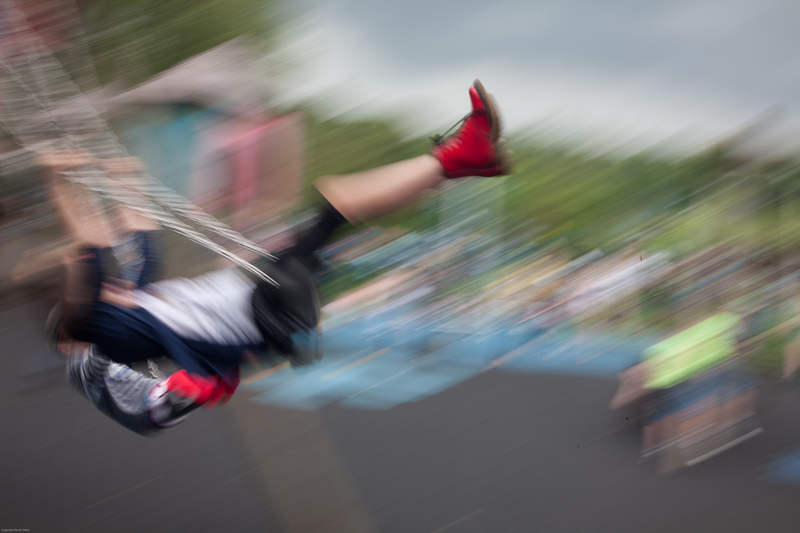 Different planes of movement are starting to become apparent, while the chains are taking on definition there is clearly panning induced blur in the background at an angle of about 30 degrees mirroring the direction of panning. 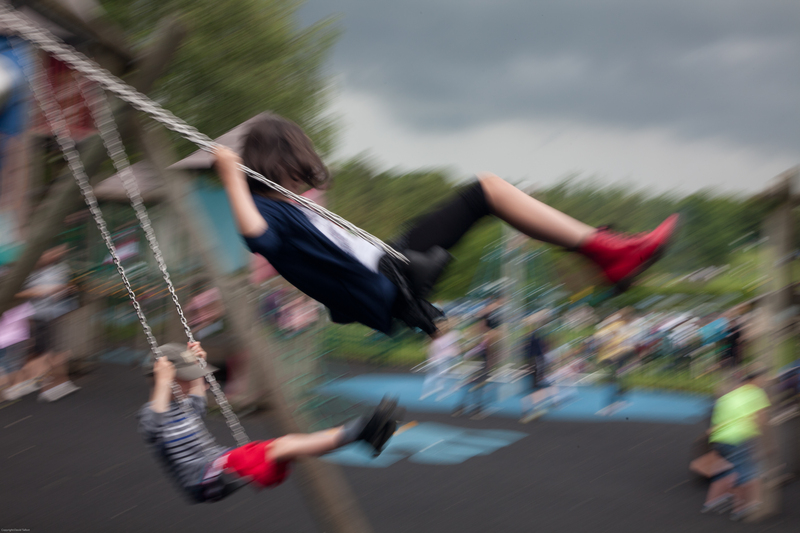 Emily is starting to become more ‘solid’ than in the slower shot and the backwards and forwards motion of her head as she swings is given away by the motion blur of her hair. Another shot at 1/13 while not really the best in terms of illustrating the point of the exercise is my favourite in terms of showing the movement of the scene. 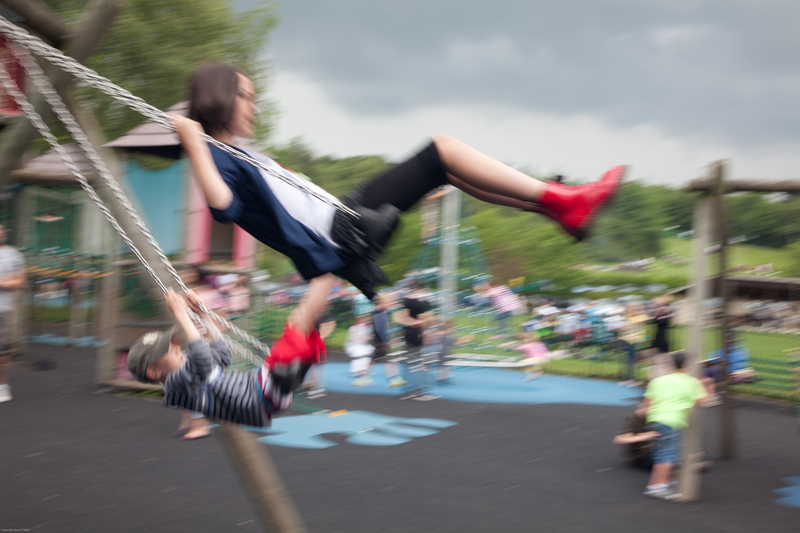 The background panning blur is apparent again but there is a load of rotation blur on Emily as she throws her body back and legs forward to make the swing bigger, but strangely her bright red Doc Martins are almost sharp which seems to emphasise the movement in the rest of the frame. While the panning wasn’t tracking her arc movement perfectly detail is starting to become clear in Emily’s hair and the the folds in her cardigan while there is much stronger movement in the background in the direction of the panning. Going to 1/50 sec and we have what I think is the worst photo in the set. At this speed the background image is simply starting to look out of focus and while I’ve managed to track the arc movement pretty well the movements in other directions blur the effect. At 1/125 sec things are starting to become sharp. 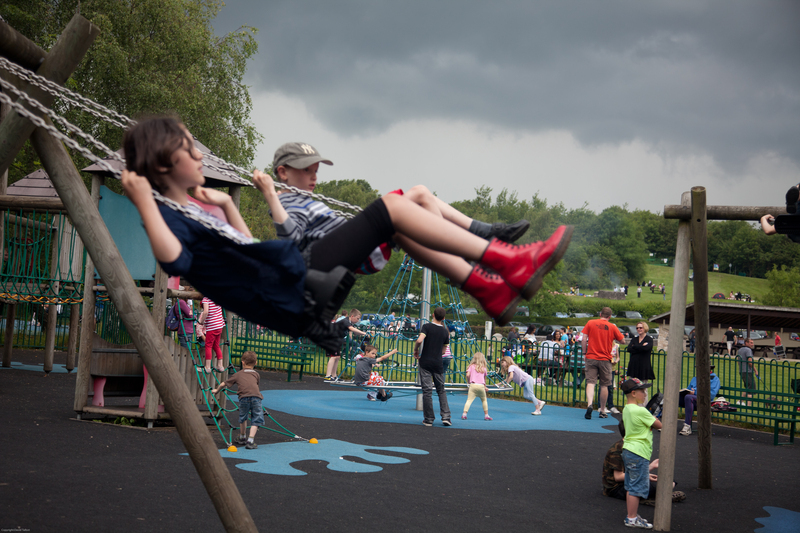 But the sense of motion is lost, look very close at the bottom left and a little movement blur is seen in the swing post but I don’t see an overall feeling of movement in the photo. Action is frozen but it looks like the autofocus picked up on the striped t shirt of the boy behind Emily so she is a little soft. Lesson is learnt, when trying to do panned action shots pick on a single focus point in the autofocus system and make sure it is on the target of the shot! ~ by davkt on July 11, 2011.